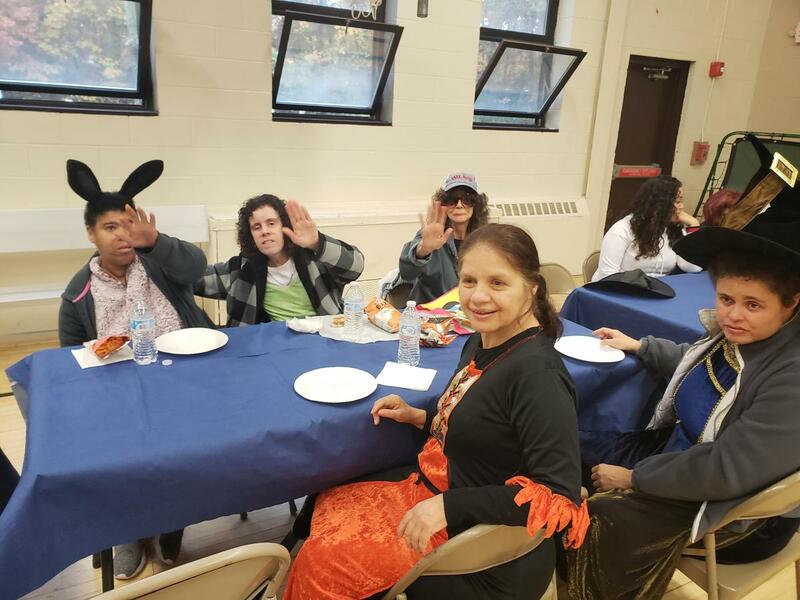 Earlier this month, members of Adult Residential Services came together at the Meadow Glen Campus to celebrate their annual Fall Fest. Now in its fourth year, Fall Fest is another opportunity for everyone to celebrate Halloween, eat some good food, enjoy a beautiful fall afternoon, and enjoy each other's company. Participants who dared to also got to walk through “Haunted Greenhouse,” decorated this year as a spooky ghost pirate ship. 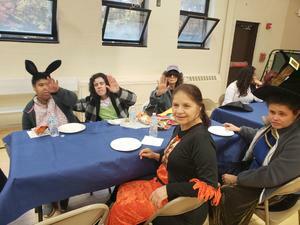 They enjoyed hamburgers and hotdogs, painting pumpkins, and sipping on apple cider while listening to dance music. The event ended with two competitions for best costume—a group contest judged by residence and an individual contest for the best single costume. The Quintuck residence’s Scooby Doo Gang won the best group costume (pictured above) while Tristan from Creek Road won the best individual costume with his Super Mario costume, which was complete with soup-strainer moustache. The Residential Recreation team would like to thank Alison from the German residence, Jonathan from the Henearly residence, and Alison and Matt from the Without Walls Program for their help to make the event such a success.